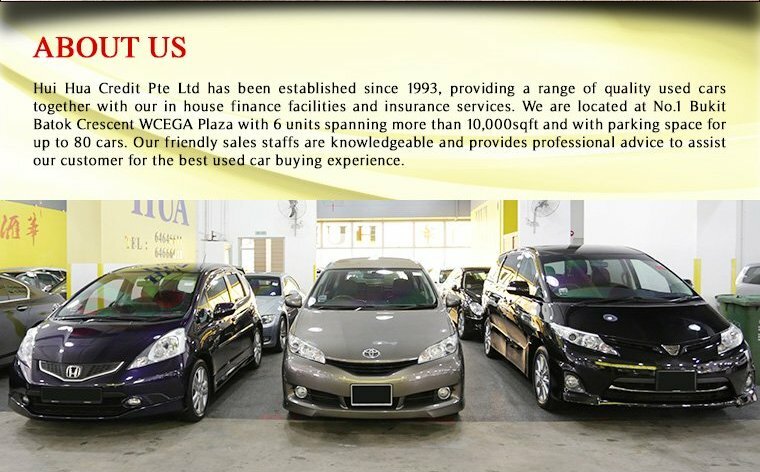 Hui Hua Credit Pte Ltd has been established since 1993, providing a range of quality used cars together with their in house finance facilities and insurance services. They are located at No.1 Bukit Batok Crescent WCEGA Plaza with 6 units spanning more than 10,000sqft and with parking space for up to 80 cars. Their friendly sales staffs are knowledgeable and provides professional advice to assist their customer for the best used car buying experience.